Recently while my husband and I were grocery shopping and trying to locate some Goo Gone, he asked me a surprising question. There’s undoubtedly some social commentary here about knowing a fictional TV character better than the man that lives fifty feet from me, but that’s not where I’m going. I heard the name Desmond, and my brain immediately retrieved the name Penny with it. The two names are inseparable to me, even though the characters spent more time apart in the series than they did together. 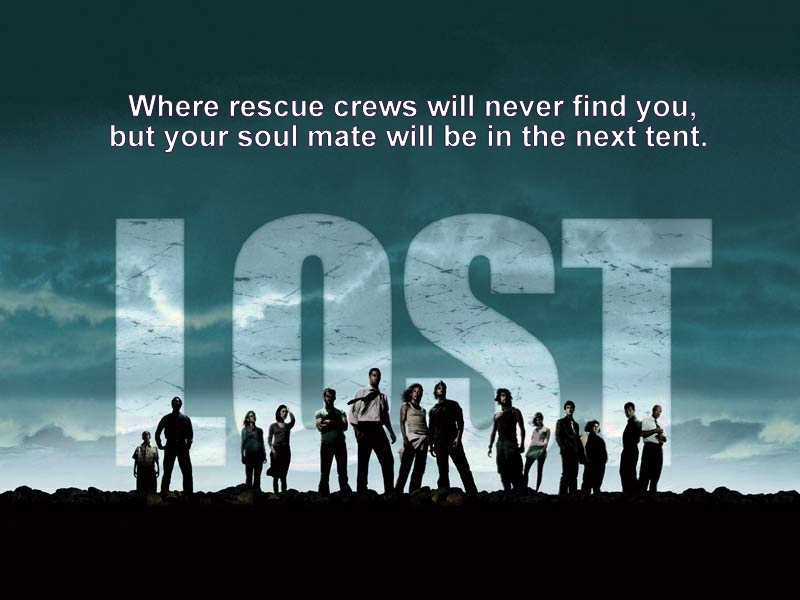 Lost had no shortage of couples. It seemed each character in its sprawling cast had at least one significant other except for poor Boone. As everyone paired off two by two, fans picked their favorites. I certainly had couples I liked better than others, but there was only one couple on the show I would have given the label “epic,” and that was Desmond and Penny. I’d never really thought about why until an article appeared in Entertainment Weekly last month asking fans to vote for the best TV couples ever. The only Lost couple that made the list was Sawyer and Juliet. I mentioned this to a few friends who had also watched the series, and the debating ensued. I’ve found if you get any five people in a room and ask them who their favorite Lost character was, you’ll get five different responses. However, while many of us did like the S & J pairing, it was Desmond and Penny that were universally loved. As a writer, I have to come up with new characters continually. I want my characters to be so well loved that my readers see them as old friends. Additionally, what I write almost always has an element of romance to it. All of this Lost debate made me wonder what makes an audience root for a couple. What made D & P or S & J so compelling? I decided to take a look at who I saw as the four main couples of Lost and try to analyze why they did or didn’t work. As with all things Lost, I’m sure some people will heartily disagree with me. That’s fine; I’m not against some lively debate in the comments section. Jin & Sun: These two certainly had an interesting storyline, and I absolutely wanted them to work through their martial issues and fall in love again. The redemption theme in their relationship was compelling, but in the end, these two were never going to be the “it” couple because they were just exhausting. As a side plot they were fine, but I’d never write a couple like them as my main characters just because I think my readers would give up in despair. An occasional fight can make the romance interesting, but I think this couple crossed the line into depressing one too many times. Jack & Kate: Blech, I don’t even know where to start with these two. Jack missed so many opportunities with Kate early on. She would kiss him, and he’d pretend like nothing happened. She’d tell him she liked him, and he would respond by ignoring her and running off into the jungle. He had the relationship skills of a middle schooler. I kept expecting him to put gum in her hair. Kate was no better. If Jack did anything, anything, she didn’t like, she just threw herself at Sawyer, even long after Sawyer had any interest in her. She shuttled back and forth between the two of them so fast, there were some episodes I got a crick in my neck. By the end of the series I felt they deserved each other, but mostly because I wouldn’t have wished them on anyone else. In fact, I disliked them together so much, I stopped liking them as individual characters. Considering Jack and Kate were the leads of Lost, that seems like a critical error authors should avoid. Sawyer & Juliet: I can see why these two made EW’s list. Once they extricated themselves from the Kate/Jack/Sawyer/Juliet quadrangle mess, they were a solid couple. I have to acknowledge the writing genius here. S & J were only together for roughly a season, and we never actually got to watch them fall in love, yet I absolutely was convinced of their dedication. How did the writers pull it off? They changed Sawyer. We had seen Sawyer love Cassidy poorly in flashbacks and love Kate slightly better for the past few seasons. Still, he himself admits he’d make Kate a terrible boyfriend. So when we suddenly see Sawyer in a steady respectable job happily cohabiting with Juliet, it begs the question, “What happened?” We instantly know that what they have has to be real because the impossible has occurred: Sawyer has settled down. When Kate and company reappear three years later, he’s not happy. He’s angry that they’ve disrupted his happily ever after. There is much advice written about plotting that involves giving your hero a desire and then putting obstacles in the way of him getting it. The ending is just a matter of the hero finally getting his heart’s desire. Lost followed this formula with D & P really well but also in unexpected ways (the time travel element was fascinating). A lot of books I read and shows I watch make the obstacle a love triangle. I am not a fan of this plot device because I don’t often see it done well. Either it descends into a mess like it did on Lost, or it’s just never believable because the winner is clear from the beginning. I can count on one hand the number of love triangles I’ve liked, Cassandra Clare’s Will/Tessa/Jem triangle in The Infernal Devices being the best I’ve read so far. I applaud the D & P storyline for being moving and fulfilling without the need for a third person distraction, and for that, I deem it epic. Now, in the spirit of all things Lost, let the disagreeing commence! The comment button is in the left margin. Up Next: Ten Tips–a new blog series that will give highlights from helpful books for writers.